A few weeks ago I shared with you an article on the generous dividend stream coming from Asian companies. However, the growth in dividends is a global phenomena, with the actual rise in dividend payments elsewhere outpacing the dividend raises here in the U.S. Global dividends reached record levels in the second quarter of 2018, reflecting strong earnings and economic growth. Headline dividends jumped 12.9% in the second quarter of 2018 compared with the same period last year to reach a record $497.4 billion, according to the Janus Henderson Global Dividend Index. The Janus Henderson Global Dividend Index ended the quarter at a new record reading of 182.0, meaning that global dividends have risen by more than 80% since 2009. 12 countries saw record payouts including Japan, and the United States. 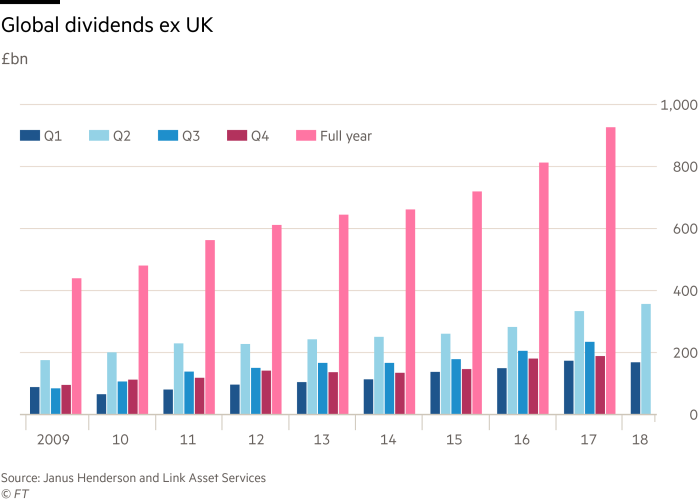 Most of the records though occurred in Europe, where total dividend payouts hit record levels in France, Germany, Switzerland, the Netherlands, Belgium, Denmark and Ireland, said Janus Henderson. Underlying growth of dividends was 9.5%, the fastest pace in three years. Forecast for the underlying growth rate of dividends going forward was upgraded by Janus Henderson from 6.0% to 7.4%. It’s interesting to note that, despite dividend payouts in the U.S. hitting a record $117.1 billion in the quarter, the growth rate of dividend payments was less than elsewhere in the world, with a rise of only 4.5% in headline terms. European companies paid a record $176.5 billion in dividends, an 18.7% jump year-on-year. Asia’s dividends, excluding Japan, jumped 29.2 % in headline terms to $42.8 billion, or 13.5% in underlying terms. Japanese dividends rose 14.2% in headline terms. And as I told you in my article on Asian dividends, this region was a standout in the growth of underlying dividends according to Janus Henderson. Here are just a few examples. . . In Singapore, Southeast Asia’s largest bank DBS Group Holdings (OTC: DBSDY) took advantage of higher profits and surplus capital to make a very large increase in its dividend and accounted for half the growth in dividends from the country. In Hong Kong, China Mobile (NYSE: CHL) made the biggest contribution to growth. And in mainland China, China’s Sinopec, the world’s largest oil refiner almost tripled its dividend thanks to improved refining margins and a better sales mix. Sinopec is also known as China Petroleum & Chemical (NYSE: SNP). Of course, if you opt to buy individual companies, you run the risk of losses in the underlying stock. Out of three stocks mentioned above, two – DBS and China Mobile are down on the year. 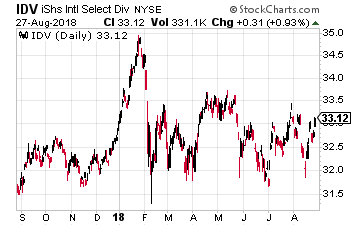 So in this case, this is one of the few times I would actually go with exchange traded funds (ETFs) to alleviate somewhat the risk of losses. One excellent option to consider among international dividend ETFs is the iShares International Select Dividend ETF (CBOE: IDV). This ETF’s portfolio consists of companies taken from developed countries in Europe, Pacific, Asia and Canada. Securities must also meet requirements on dividend payout consistency and growth metrics, along with profitability and minimum liquidity levels. The fund holdings are then weighted by dividend yield. The majority of the holdings seem to be in three sectors – drugs, such as AstraZeneca, oil, such as Royal Dutch Shell; financials, such as Macquarie Bank. IDV is down 1.85% over the past year (due likely to a strong dollar), but does have a 4.64% 12-month yield. Another good choice is the Legg Mason International Low Volatility High Dividend ETF (CBOE: LVHI). The underlying index the ETF tracks seeks to provide more stable income through investments in stocks of profitable companies in developed markets outside of the U.S. with relatively high dividend yields or anticipated dividend yields and lower price and earnings volatility- while mitigating exposure to exchange-rate fluctuations between the dollar and other international currencies. This fund also has exposure to drug companies, banks and oil companies. But it also owns telecom firms such as Japan’s NTT Docomo and Britain’s BT Group. LVHI is down 2.5% over the last year, but does have a 4.34% yield. Finally, there is a fund I like because it excludes financial stocks – the WisdomTree International Dividend ex-Financials Fund (NYSE: DOO). It is based on an index that includes high-dividend yielding international stocks outside the financial sector, which is subject to interest rate risk. The fund has a lot of telecom and utility firms in the portfolio such as Vodaphone and Spain’s Endesa. DOO is up 1.5% over the past year and has a dividend yield of 3.63%. There are numerous other international dividend ETFs, of course. 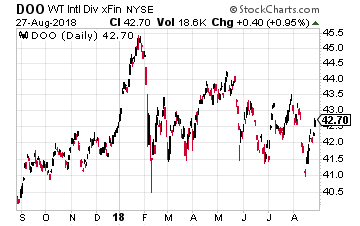 One common factor you will find is that a strong U.S. dollar (as we’ve had the past few months) will adversely affect the price of the stocks in the ETF. 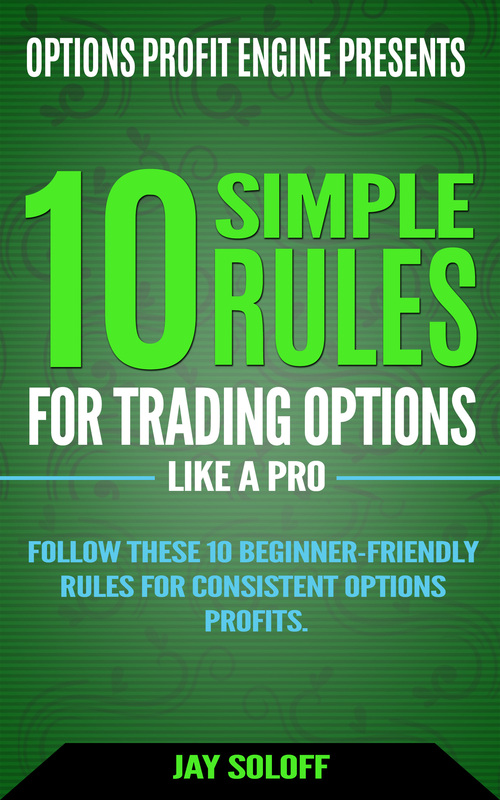 However, when the dollar inevitably turns the other direction, you will find a strong tailwind at your back. In other words, a good dividend yield and capital appreciation.